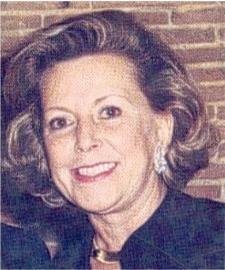 On June 24, 1991, a Monday, 65-year-old affluent widow Ghislaine Marchal was found dead in her home in Mougin, France. Marchal suffered a broken skull, a slit throat, a sliced finger, and multiple stab wounds. Her body had been discovered in her basement, the door of which had to be knocked down because somebody had barricaded it from the inside with an iron bar and bed. 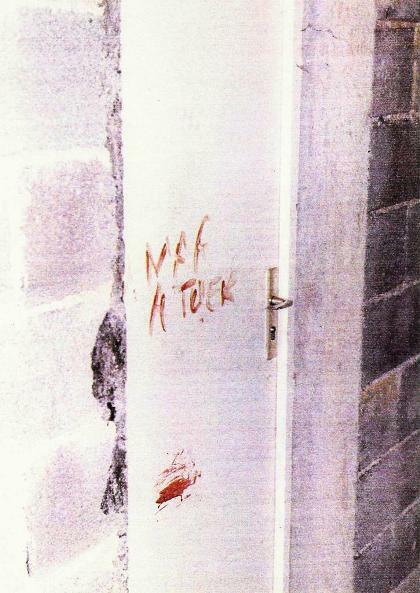 Across the door, scribbled in blood, was“Omar m’a tuer”, a grammatically incorrect phrase that meant “Omar killed me”. There was a similar message near-by, although incomplete, and police also found a bloody handprint. The bloody accusation found on the basement door. Despite that all this blood was later confirmed to be Marchal’s, her body was found on the other side of the room. The authorities were baffled; how did she get from the door all to way to the spot where she had died without dripping a trail of blood behind her? The floor was completely clean. Almost nearly as strange, how did an educated woman like Marchal make such an elementary grammatical mistake in writing her message? The autopsy determined that Marchal had been killed the day before, after talking to a friend around noon. Her gardener, an illiterate Moroccan named Omar Raddad, was usually at her house on Sundays, but had earlier changed his schedule. He claimed to have been eating lunch at home during the time of the murder, but only family members could confirm his alibi. His case caused an uproar in France, with his supporters arguing that he was an innocent man being accused simply because he was an immigrant. The authorities pinned him with a first-degree murder charge, and he went to trial in January 1994. The prosecution argued that Raddad stabbed Marchal to death after getting into an argument with her over his pay. They had no solid evidence, however, and nobody reported seeing Raddad even near Marchal’s home the day of the murder. Raddad, furthermore, had no criminal record, and was a hard-working, honest man by all accounts. As for the message, graphologists were certain that it was Marchal’s handwriting. Still, despite the weakness of the prosecution, Raddad was convicted and sentenced to 18 years in prison. 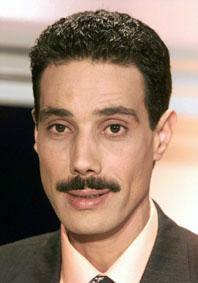 After pressure from the Moroccan King, the French president eventually pardoned Raddad in 1998, but the murder conviction was still left on his legal record. Raddad has spent the past 17 years fighting to clear his name, even applying for a new trial after his release. Forensic tests conducted in 2001 found a male’s DNA on the basement door and a block of wood suspected of being used to hit Marchal. These strains didn’t match Raddad at all, and almost certainly had to belong to Marchal’s real killer.